The T-Mobile, MetroPCS merger combination reverse-takeover has cleared its finally regulatory hurdle and now lands in the hands of MetroPCS shareholders. The last piece of regulatory blessing came from the Committee on Foreign Investment in the United States indicating there are no unresolved security concerns. On March 20, 2013, the Committee on Foreign Investment in the United States advised Deutsche Telekom and MetroPCS that it has determined that there are no unresolved national security concerns with respect to the transaction and that it has therefore concluded its review. This concludes all regulatory approval the parties were seeking prior to closing the proposed combination, which remains subject to the approval of MetroPCS stockholders. All that’s left now is the special April 12th meeting of MetroPCS shareholders. Deutsche Telekom has already announced the future board of directors for the combined company. Bonn, Germany; Bellevue, WA; and Richardson, TX (March 21, 2013) – Deutsche Telekom AG (XETRA: DTE; “Deutsche Telekom”), T-Mobile USA, Inc. (“T-Mobile”) and MetroPCS Communications, Inc. (NYSE: PCS; “MetroPCS”) today announced that they have now received all regulatory approvals in connection with the proposed combination of T-Mobile USA, a wholly-owned subsidiary of Deutsche Telekom, and MetroPCS. A Special Meeting of MetroPCS stockholders to vote on matters relating to the proposed combination of MetroPCS with T-Mobile has been scheduled for April 12, 2013. MetroPCS stockholders of record as of the close of business on March 11, 2013 are entitled to vote at the Special Meeting. The combination is expected to close shortly after the Special Meeting. 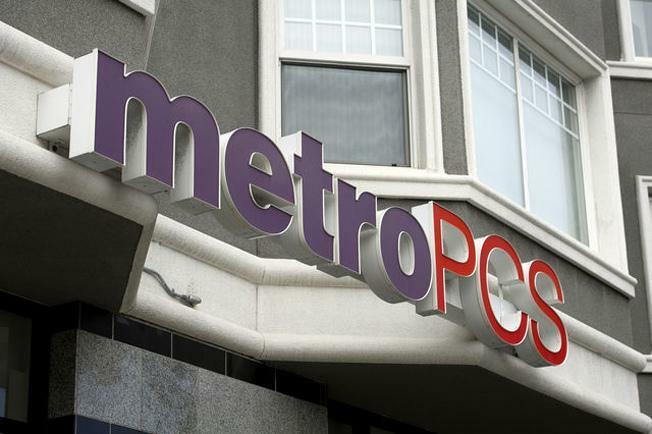 The MetroPCS board unanimously recommends that stockholders vote their shares FOR all of the proposals relating to the proposed combination with T-Mobile by returning the GREEN proxy card they will receive in due course with a “FOR” vote for all proposals. The failure to vote or an abstention has the same effect as a vote against the proposed combination. Because some of the proposals required to close the proposed combination require at least an affirmative vote of a majority of all outstanding shares, MetroPCS stockholders’ votes are important. If stockholders vote against the proposed combination, there is no assurance that MetroPCS will be able to deliver the same or better stockholder value. The Company urges stockholders to discard any white proxy cards, which were sent by a dissident stockholder. If a stockholder previously submitted a white proxy card, the Company urges them to cast their vote as instructed on the GREEN proxy card, which will revoke any earlier dated proxy card that was submitted, including any white proxy card. Stockholders who have questions or need assistance voting their shares should contact the Company’s proxy solicitor, MacKenzie Partners, Inc. toll-free at (800) 322-2885 or call collect at (212) 929-5500. I think keeping the MetroPCS brand is a bit stupid too…unless they make all prepaid MetroPCS. As to the vote, I think delaying it might help, since all regulatory hurdles have been passed, shareholders are more likely to vote in favor of the transaction. I dont think they plan keeping the MetroPCS name brand. They will probably do so for now as they would make the transition of those towers to GSM but the network will eventually be deactivated by 2015. T-Mobile is releasing a new One Plan fits all, so prepaid probably wont happen. I know. I want them to drop the Metro PCS name and pick up T-Mobile. T-Mobile has said they plan to keep both brands. Also, they have recently launch go smart or whatever its called. I don’t think prepaid is going anywhere. Thankfully it didn’t work well enough on their older phones for anyone to consistently use it. Sneaky greedy sons of guns. There are other stocks to invest in America and Europe not just Metro PCS lol. I hope the merge gives through. It will .It got this far. So what does this really mean for us now? Who can answer that? Um, he said it pretty clearly in yhe article. T-Mobile and MetroPCS will face no legal challenges from regulatory agencies for their proposed merger. As long as the MetroPCS shareholders vote to approve the merger, it will probably close before the end of April. If you’re asking in a practical sense what it means for T-Mobile and MetroPCS customers, it means that T-Mobile will have more spectrum for LTE (so faster LTE eventually) and Metro PCS customers will be transitioned to T-Mobile’s network over the next 2 years (they need new phones by 2015- enough so most people’s natural phone upgrade cycle will suffice). Do Metro MetroPCS customers still need toget new phones at 2015, the ones who don’t have smart phones? Most MetroPCS customers will have by then. The rest will need new phones. But seriously, the service will be way, way better when you can take advantage of T-Mobile’s network too. I think that will push most customers to get a new phone. Alright! I want to mergeto go through ASAP! Headquarters is threatening more layoffs this week.